Beautiful piece of polished amethyst with crystals and glass beads. 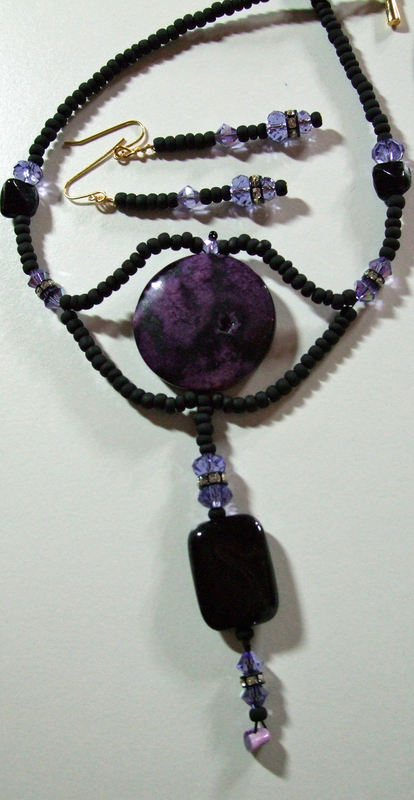 Made to be worn high on the neck, with the polished amethyst centred on the throat. This is a spectacular piece to be worn and treasured for life. For the lover of amethysts this is a one only set and can never be copied.